Why does a particular treatment approach work with some patients but not with others? When I was in grad school, they used to say that in therapy, about a third of people get better, a third stay the same, and a third get worse. And from what I can tell, while we’ve improved some, we still aren’t helping as many people as we’d hope. We help a large percentage of the people we see. Our treatments and approaches work with those people, and we’ve done a good job helping them heal. The problem is, even the best modalities don’t work for everyone. There are always clients for whom they just don’t seem to land. How can we help them begin to experience the kind of relief, healing, and vitality as the other people in the circle? 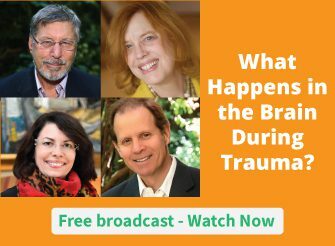 By synthesizing approaches from the fields of trauma, brain science, and mindfulness, we’ve accomplished so much for so many patients over the last five years. But I believe we may be on the cusp of discovering the next generation of ideas that could open up greater opportunities for healing to more people. And I don’t want us to miss this pivotal moment. You see, lately I’ve been thinking that there’s something about the way we structure our conversations about treatment that could be standing in the way of getting to that next level of ideas. The leading experts are asked only about their one area of specialty. Often, the same questions are asked interview after interview, conference after conference. At times, we can almost predict what is going to be said. If we’re going to make real progress, if we’re going to find ways to help the people for whom our modalities and techniques haven’t yet landed, then we’ve got to think differently. And that begins with asking different questions. Because if we do what we’ve always done, we’re going to get the results that we’ve always gotten. But if we change the way we talk about helping people change, we just might spark the next generation of ideas. I’ll have more to say about this soon, but now I’d like to hear from you. Where have you seen tried-and-true treatment strategies fall short? How do you think we can improve outcomes for more of our patients? Please tell us about it in the comments below. Excellent piece. Thank you for encouraging us all to expand the possibilities in the field we seek to cultivate. Great question. Strategies can fall apart at times when the therapist has an agenda for the patient. What I’ve found invaluable is LISTENING creatively. What isn’t said, what’s missing. Patients usually come for symptom relief. But if we’re mindful of what’s missing we can hear the meta agendas in their stories and can ask questions “naively”. Such questioning stirs deeper, more creative thinking and emotional connections. When that occurs, we able help a person move towards new insights. Discovery is empowering, especially when reinforced by the therapist. Leading a patient to connect their insight to their symptom further encourages personal empowerment. Providing homework to use their discoveries in their daily lives, while keeping a record of each event, increases the development of new habits and, most often, provides symptom relief while building ego strength. Role playing is extremely useful in self discovery. talking with the symptom, role reversing and hearing the response often feels like a light bulb being turned on where there was darkness. In my many years of practice, I’ve found that whatever the presenting issue is, a person is ultimately seeking to find their authenticity, their value, their worth. By encouraging spontaneity, leading to creative outcomes, we can guides a patient towards achieving these underlying goals thereby relieving symptoms and finding themselves.